The Chloe extending garden dining table is medium-sized, but doubles its length, offering plenty of space while keeping a simplistic design. Chloe features a reliable 2 panel mechanism that extends to create space for up to 4or 6 people meaning that entertaining in your garden or outdoor space couldn't be easier. 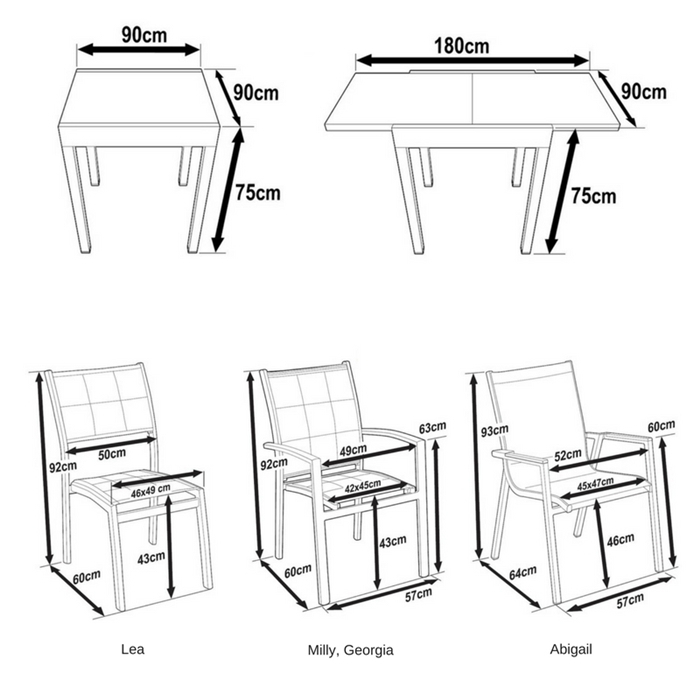 To match the table, choose 4 stacking chairs from the options displayed above. The chairs have aluminium frames that are light and strong and are fitted with a durable outdoor mesh fabric that is sturdy and comfortable. 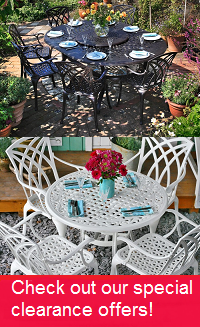 Our beautiful Chloe table & 4 chair set in Black will radiate elegant modernity into any environment, indoors or out. If you're looking to go a shade or two brighter, check out Chloe in smooth Grey, cool White & Grey or lavish White & Champagne. Don't forget to look at our gifts section above where we offer amazing discounts of 30-70% on a wide range of products to complement your purchase of the Chloe table set.